China has fired the latest salvo in a possible trade war, saying it will take on the US "until the end at any cost". The warning from China's ministry of commerce came after President Donald Trump said he was considering $100bn (€71.5bn) in extra tariffs on Chinese goods. The ministry said: "If the US side disregards opposition from China and the international community and insists on carrying out unilateralism and trade protectionism, the Chinese side will take them on until the end at any cost. 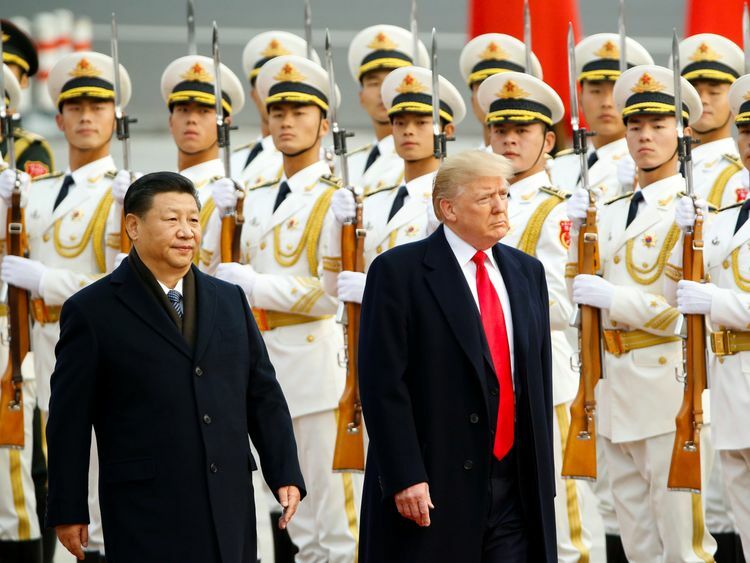 "On Thursday night, stock markets had recovered some value as hopes grew that the two largest economies in the world would avert a damaging trade war.But after the markets closed, the White House announced that the extra tariffs were being considered. "China's illicit trade practices - ignored for years by Washington - have destroyed thousands of American factories and millions of American jobs," Mr Trump said in a statement.The two countries have been edging towards a trade war since President Trump moved to impose tariffs on US imports of steel and aluminium products, exempting the EU and many other nations - at least for now. Mr Trump's protectionist agenda is aimed at saving US jobs and closing what he sees as a $504bn (€360bn) trade gap with China and deficits with other major economies.His proposed measures also include tackling alleged intellectual property theft by Beijing but the Chinese had responded by threatening to target US agriculture as part of their own measures.China has raised objections with the World Trade Organisation to the planned imposition of $50bn (€35.7bn) in tariffs over the technology issue.Most Asian stocks slipped in Friday trading - Japan's Nikkei was down 0.4% and South Korea's Kospi fell 0.6%. Markets in India, the Philippines and Indonesia all fell. Chinese markets were closed for a holiday. While Mr Trump has often praised Chinese President Xi Jinping for his co-operation over North Korea's nuclear programme, the relationship between their two countries is getting worse on other fronts.In December, the US national security strategy named China, along with Russia, as threatening American interests.